Another carnival photograph taken in Barcelona. 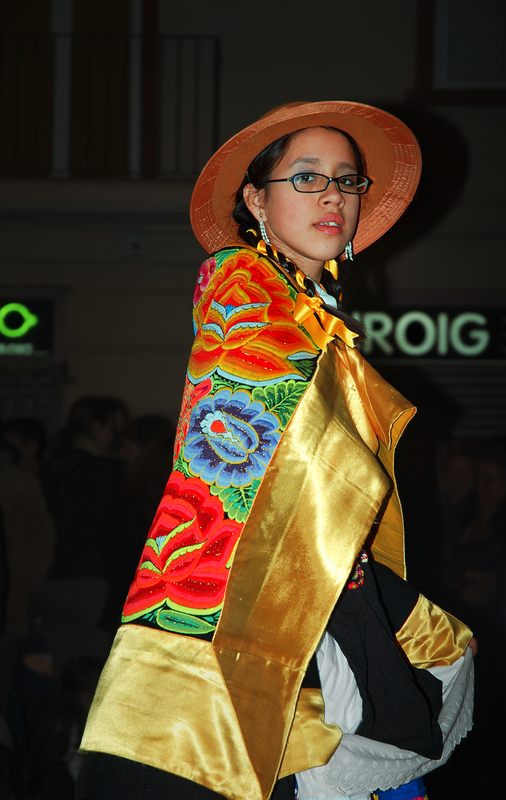 This time, a girl covered with a colorful mantilla or manta cloak. Our Carnival 2008 has been a total success and fortunately it started to rain just when celebrations ended around 11:30 at night. Absolutely love the rich colors and textures of Carnivale costumes!